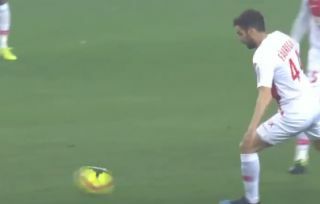 Former Arsenal and Chelsea midfielder Cesc Fabregas has still got it, as this incredible pass video shows. The Monaco midfielder, who moved to Ligue 1 from Chelsea in January, seems to have invented a new technique, and we’re still not entirely sure how on earth he manages it as his foot barely moves! Fabregas has long been known as one of the finest creative midfield players on the planet, but this is something else from the little Spaniard. We could watch this again and again – and you should too.